The ability to make fire is crucial in many survival situations. Every emergency preparedness kit (bug out bag) should include multiple methods for starting fires. Firesteels have been used for centuries. 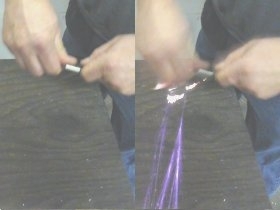 They give you the ability to strike a fire using practically any other abrasive or hard object. They’re absolutely waterproof, extremely long lasting, and compact enough to keep handy at all times. Don’t let the small size fool you – it makes plenty of sparks to start a fire when you need one. This Miniature FireSteel is just 3/20 of an inch thick and 2 inches long. 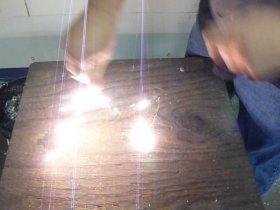 It is about as thin and short as you can go and still give a good shower of sparks for firemaking. NOTE: FIRESTEEL GIVES OFF A SHOWER OF VERY HOT SPARKS. AS WITH ALL FLAMMABLE MATERIALS YOU MUST EXERCISE EXTREME CAUTION WHEN USING THIS PRODUCT. IF YOU ARE UNDER LEGAL AGE OR DO NOT AGREE TO TAKE FULL RESPONSIBILITY FOR THE SAFE USE OF THIS PRODUCT YOU SHOULD NOT PURCHASE IT. CNC WARRIOR ASSUMES NO RESPONSIBILITY FOR USE OR MISUSE OF THIS PRODUCT. Size: 3/20 inch diameter by 2 inches long (3.8 x 50.8mm). Weight: .13 ounces (3.7 grams). 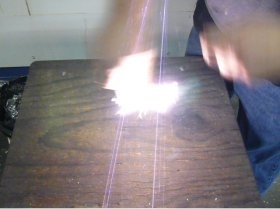 5500 F (3000 C) sparks that will start a fire in the toughest conditions.